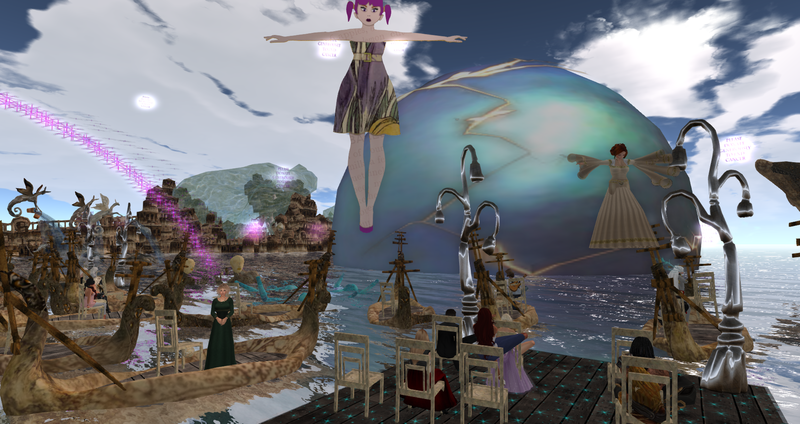 Just as the Sylvan of Spells is known as the literary sim in this years Fantasy Faire, Poseidon’s Abyss is the Arts and Entertainment mecca. 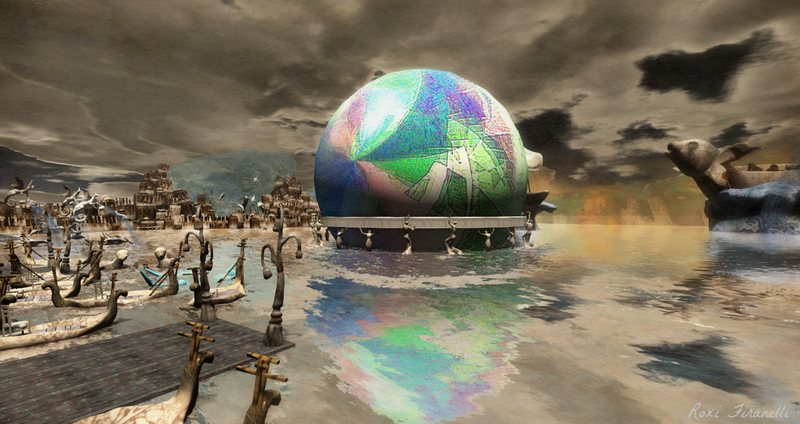 It is a build beyond belief and imagination, a journey in itself and a joy to partake. 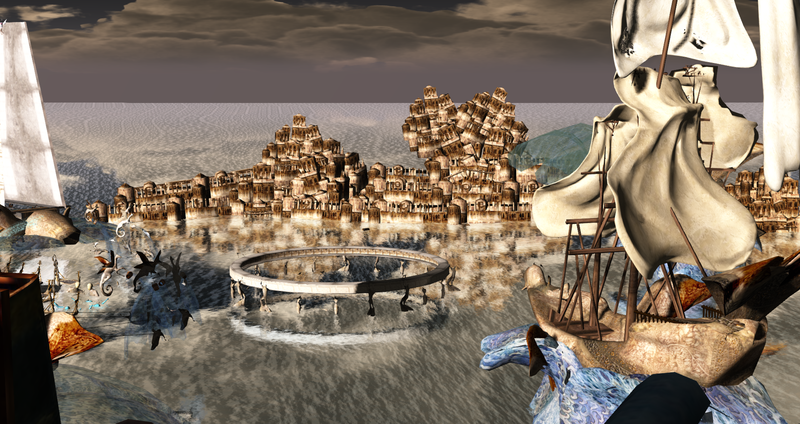 On the FF website today, Sonya Marmurek wrote an article about the amazing sim, with a quote detailing the breathtaking story behind the it by the builder himself, Haveit Neox…so if I may share ….. 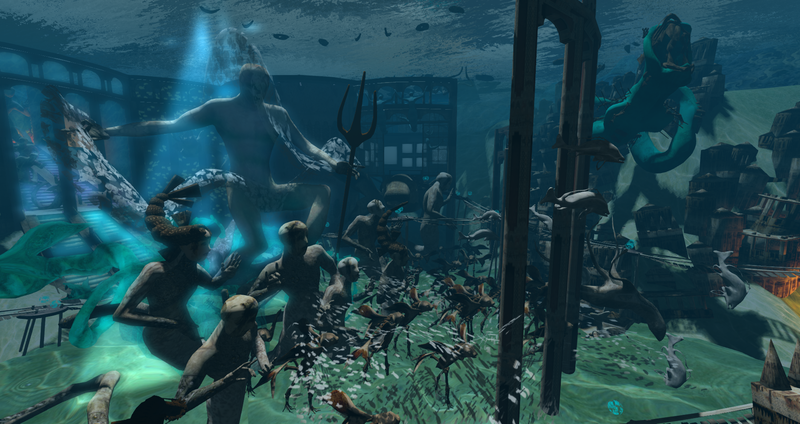 The Arts & Entertainment sim, Poseidon’s Abyss, is a treasure trove of fantasy art set into a sim-wide installation by Haveit Neox. Within the living story of attempting to save what is most precious — beauty, art and culture — the visitors can find four different art galleries. 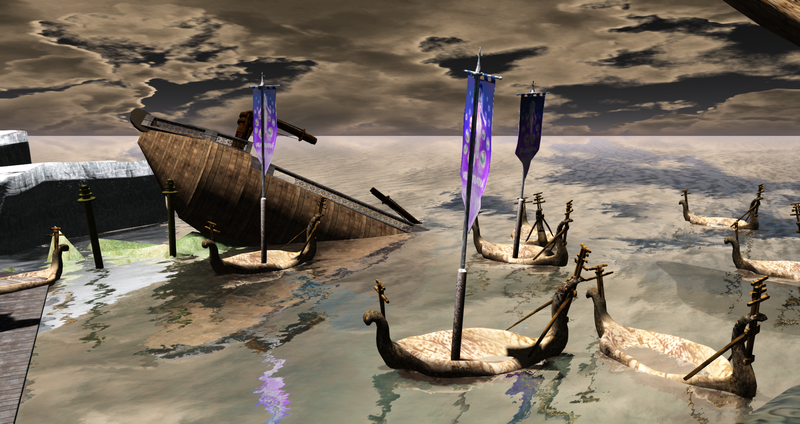 Two of these are on the surface, two more in the depths of Abyss. 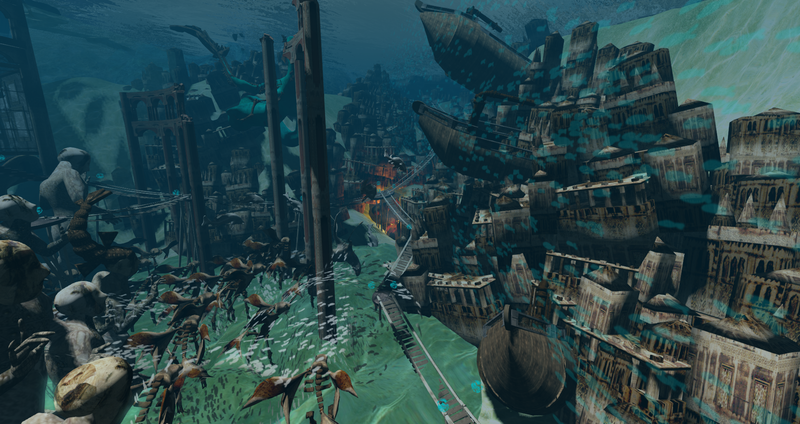 The ruins of the city are evident above water…. Yet even more so below the surface…. Jump in or find the entrance to the underwater world and prepare to be amazed…. 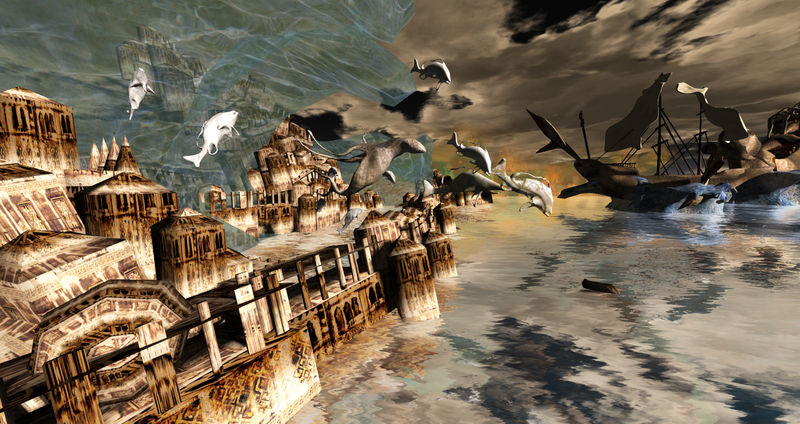 The chaotic beauty will entrance you as you wander through and find interactive art displays and discover the sunken galleries filled with works of art.